1. 9 Pockets design to hold a various of products. 3. 100% recycled and eco-friendly. These displays stands are made from corrugated cardboard to be 100% recycled and eco-friendly. The economical store fixture can be placed at any retailed environment to draw attention to the shinny finished of the displays. 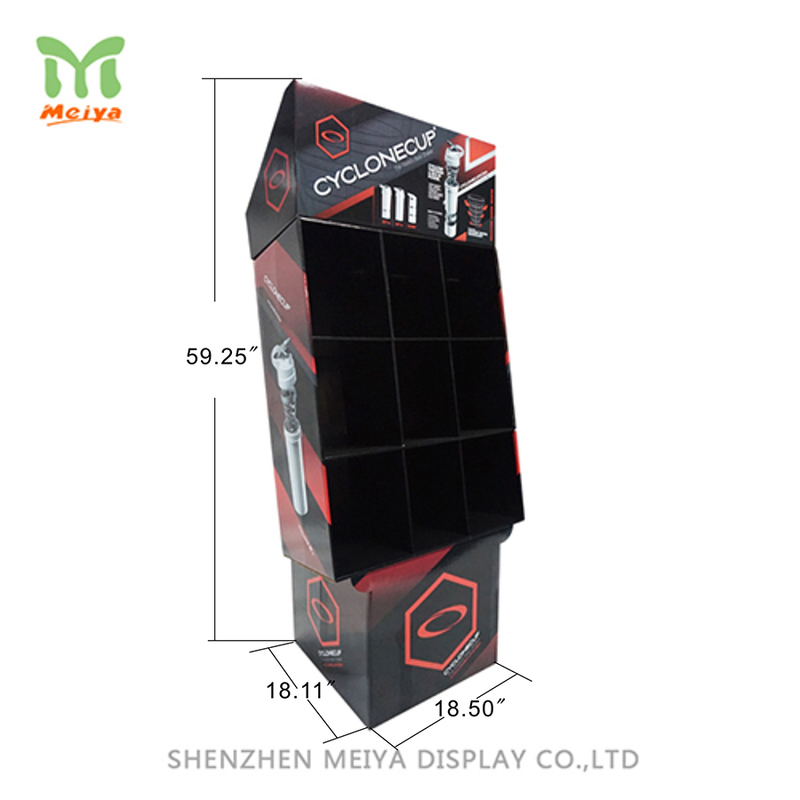 To grab customer's attention quickly, present your products with Meiya Display.